RedHouseMedia’s destination tourism partners receive national recognition. The neighboring areas of Lake Mille Lacs and Cuyuna have a longer shared history than many realize. 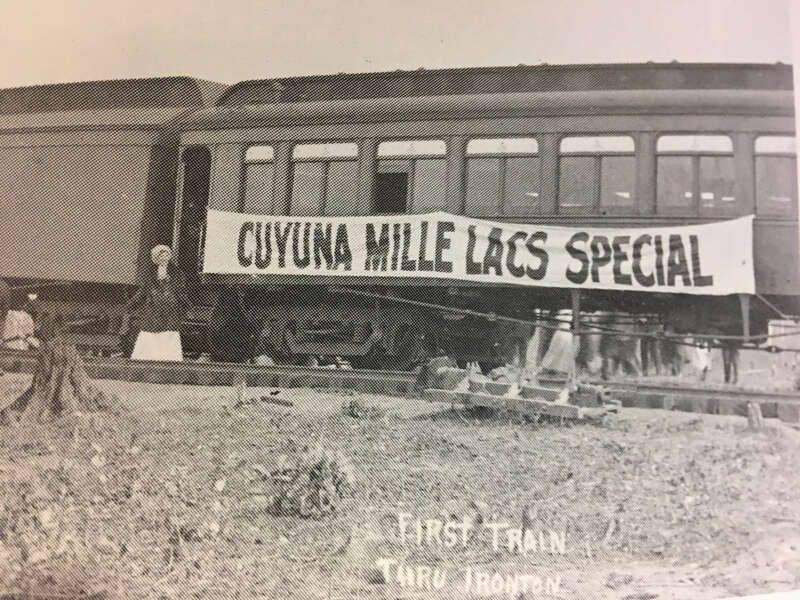 Evidence of their alliance was recently discovered in a photo celebrating the “Cuyuna Mille Lacs Special” train’s arrival when it first passed through the City of Ironton in the early 1900s. Years later, Lake Mille Lacs and Cuyuna were connected through difficulties when each had its own crisis—one due to changes in walleye fishing regulations, the other when mining pulled out, leaving a pervasive economic downturn in its wake. Fast forward to today: Lake Mille Lacs was recently named the #1 smallmouth bass lake in the United States by Bassmaster. Cuyuna was recognized by People for Bikes with the Places for Bikes, “Bike Destination Tourism Award.” Each is a national, number-one designation provided by an industry benchmark authority. How did these dramatic turn-arounds occur? It was partnership work at its finest, hingeing on the efforts of many individuals, groups, community stakeholders, and government agencies to change the narratives—removing layers of the past to reveal a future ripe with growth and renewal. 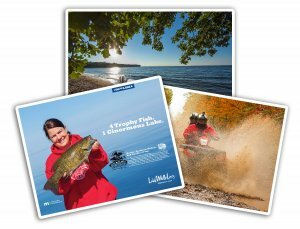 The Lake Mille Lacs area needed a new narrative to supplement their long-standing reputation as a walleye lake. Advertising agency RedHouseMedia was charged with working with them to develop new positioning and showcase new tourism opportunities. In order to diversify and strengthen the local economy, we needed to find and develop additional target audiences—using a variety of methods including email marketing—to complement the already strong fishing base. RedHouseMedia held five community meetings to reexamine the wide range of outdoor recreational opportunities available in and around the big lake—to bring the destination tourism narratives more clearly into focus. 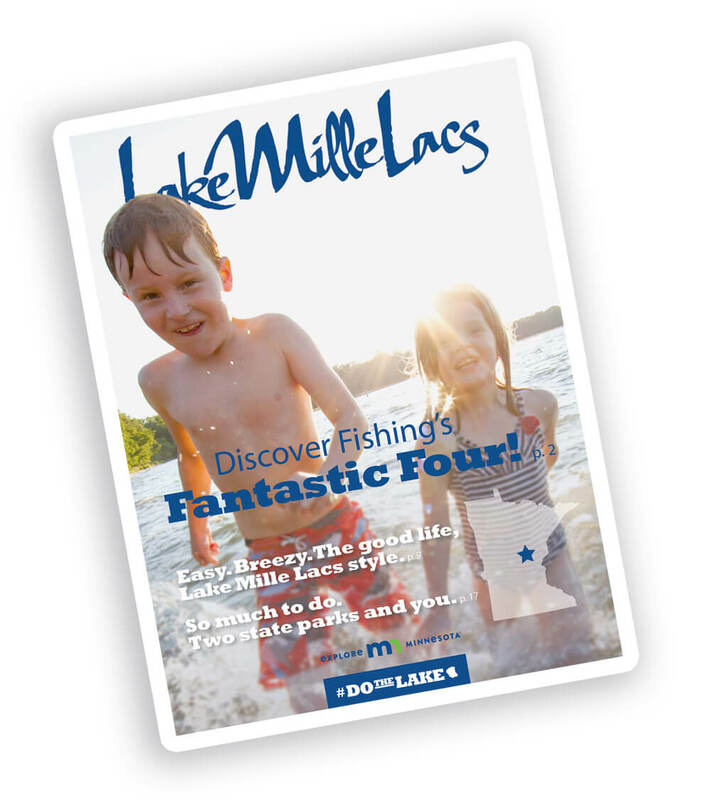 “We needed to learn about the area first, so we could do our best to bring consistency and evocative imagery and stories to the eyes and ears of the current and potential customers-to-be—working to position Lake Mille Lacs as a fishing destination, but much more,” said Aaron. As a result of this effort, we created the #DoTheLake campaign. We utilized the gamut of digital, video, social media, photography, radio, billboards, targeted email marketing, year-around blogs, and search-engine optimized web copy. The #DoTheLake campaign became the area’s mantra and won the 2015 Explore Minnesota Travel Marketing Award of Excellence. Smallmouth bass fishing was the first destination tourism anchor we set out to establish. It was exciting to see the lake’s incredible smallie action being showcased when Grand Casino Mille Lacs stepped up as host sponsor when the Bassmaster Elite Series chose to hold its 2016 Toyota Bassmaster Angler of the Year championship on Lake Mille Lacs. At the time, the lake was ranked the sixth best smallmouth lake in the U.S. Now the lake is ranked number one and the 2017 tournament returns in September. Other Lake Mille Lacs’ recreational activities and destinations are still being developed more fully, including ATVing, the two state parks, kiteboarding and mountain biking, paddling on the Rum River, and others. There are still areas to resolve, but it’s good to pause and celebrate the work of a community. None of this could have happened without the many Lake Mille Lacs’ advocates joining together—enthusiastic about the new vision for the area and willing to do all they can to keep the area humming with activity. Whenever we talk about Cuyuna, the story always begins with Cuyuna’s industrial heritage—where it came from and where it is leading today. The story focuses on the community’s can-do spirit of facing insurmountable odds. Left: 45NRTH used this photo to promote their Naughtvind—released globally in Cuyuna to major industry media. Right: This Cuyuna photo was the 2014 Minnesota State Park Permit decal. The success of the Cuyuna area is due to the perseverance of community members, such as Barb Grove who decided 35 years ago not to let the area decline further. She became a change agent who rallied a group of women to become advocates, along with others, to participate in a massive clean-up of the former mine areas that had become dumping grounds for thousands of pounds of garbage and debris. Due to the untiring work of many, the natural beauty of the lakes and forests was restored. Following in Grove’s footsteps, John Schaubach and Jenny Smith joined in as the next leadership wave. Advocate organizations came next—Gary Sjoquist of QBP (Quality Bike Products), the Minnesota Off-Road Cyclists (MORC), and Hansi Johnson of IMBA (International Mountain Bicycling Association). And the ongoing support of the Hallett Trust (E.W. and Jessie Hallett) was part of the narrative from start to finish. Over the past 10 years as an advertising agency, RedHouseMedia has assisted both the community and the trails with consistent communication and identity development—starting with the Cuyuna Lakes Chamber and then transitioning to the Cuyuna Lakes Mountain Bike Trails. We created logos, graphics, ancillary products, media buzz through public relations and speaking opportunities (including internationally), email marketing, and we took award-winning photography of the Cuyuna Lakes Mountain Bike Trails. RedHouseMedia assisted the vision to build a brand and establish the area as an international mountain bicycling destination. In the Cuyuna business arena, RedHouseMedia provided consulting work to Cuyuna Brewing Company and Iron Range Eatery—assisting both companies with brand development, public relations, which enabled them to hit the ground running on the first day they opened their doors. We also helped develop their crowd-funding campaign strategies. Iron Range Eatery met its $30,000 goal for its outdoor patio in 3 weeks and Cuyuna Brewing’s campaign raised more than $20,000 of their $15,000 goal. Most importantly, the entire region worked together to fulfill the common vision. There have been 15 new businesses established in the last six years, and more than $5 million has been advocated and fundraised for continued Cuyuna Country State Recreation Area and Cuyuna Lakes Mountain Bike Trails development. It’s only because the Cuyuna region has worked together—to accomplish what many called “impossible goals”—that we have a story to tell. The success of the Cuyuna area is attributed to the countless volunteers from many different organizations, the MN Department of Natural Resources, the Cuyuna Lakes Mountain Bike Crew, area chambers of commerce, local governments and elected officials, and many other people and organizations too numerous to mention. No one group or individual could ever lay claim to the results and national recognition that are underway in Lake Mille Lacs and Cuyuna. It was the work of the community, by the community, and for the community. Isn’t it amazing what a little powerful communication can do?